Amelie's Blog : DiGi Challenge for Change is back! Every single apps has its own function as they are created for maximum usage and benefit. We used to access into social media platforms, navigate roads, communicate with one another and even for entertainment purposes. Now, it's time for an innovative change! It's a chance for you to create your own history with amazing ideas and creativity. DiGi Challenge for Change needs you! It's a programme in search of Malaysia's top mobile apps idea with maximum functionality, greater quality, depth and relevance through new categories within Malaysians and local apps developers. With the theme of 'Bringing Malaysians together, One App At A Time', DiGi wants to bring Malaysians together for a positive and meaningful change through community-centric mobile apps. It's a development event which served as checkpoint for participants to refine their ideas and apps respectively, with input and insights from experts. Meanwhile, strengthened the quality and potential of each ideas and apps. - 20 shortlisted ideators will be invited to meet various industry experts. - The best 4 ideas will be developed into mobile apps in next phase. - Malaysian developers will be building mobile apps for the best 4 ideas from Ideation Challenge. - Each app will be made available for download in mobile and review by the public. Visit www.digicfc.my and 'submit idea'! Pick any way to 'log in'! Then, share your ideas with us, what makes an awesome apps? 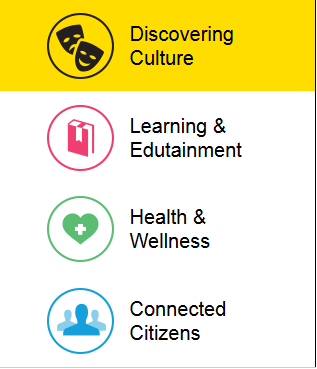 For me, I'll be picking 'Learning & Edutainment' category. Guess I will name the apps ‘WeDesign’, an apps for all the designers around the world to upload their sketching or art piece and get rated by others. Besides, they will be able exchange some ideas and opinions. It will be something like Instagram indeed, yet it’s an arty place for all. I am a graphic design student, this apps will benefit me by gaining more comments from others so that I can improve myself and being inspired by watching others masterpiece! It can be a platform to engage with all the designers around the world, and we can instantly explore other cultures! It should be a collection from Instagram, tumblr and pinterest. It's kinda troublesome for me to view 3 apps from time to time, it's better to view them 'all-in-one' apps. Support partners for DiGiCFC will be Microsoft Malaysia, Digital Malaysia, Google Malaysia, 1 Malaysia For Youth and Economic Transformation Programme. 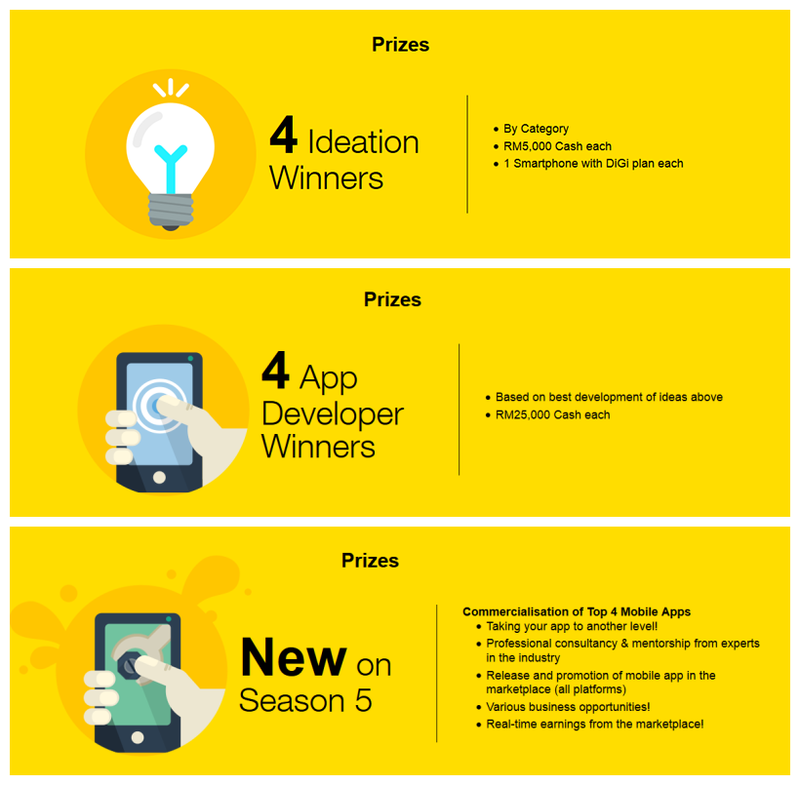 Here's some of the Season 4 Winning Apps, for more. Create your own apps and make everyone using it! For more information and details on participation, please visit www.digicfc.my.